Hearing Loss & Dementia - Hearing Evaluation Services of Buffalo, Inc.
Here’s a good reason to get your hearing tested: Research studies have indicated that untreated hearing loss may be a risk factor for the development of dementia. 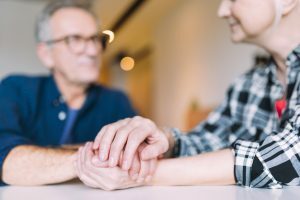 In a study of almost 2,000 older adults conducted by hearing scientists at Johns Hopkins University, those with untreated hearing loss had a 30-40% greater cognitive decline (including concentration, memory, and planning skills) after six years when compared to their counterparts who did not have hearing loss. 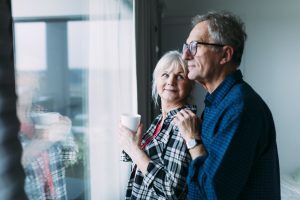 Compared to those who have normal hearing, the risk of dementia doubled among those with a mild hearing loss, tripled among those with a moderate hearing loss, and increased fivefold among those with severe hearing loss. It is important to note that typical hearing loss does not cause Alzheimer’s disease and not everyone with hearing loss will develop dementia. However, taking the right steps towards proactive hearing health can dramatically improve your quality of life and the lives of those around you. Be proactive. Everyone should have a baseline hearing test upon turning 50 years old and if any changes in hearing occur. Take action. Early symptoms of memory loss could directly relate to hearing loss. Don’t wait for the symptoms to get worse or for a misdiagnosis. Get your hearing checked. Wear your device. If you were diagnosed with hearing loss, the best thing you can do is continually wear your device. This will help to take stress away from your brain, improve memory, and make you feel less fatigued at the end of the day. A growing number of studies suggest that hearing loss may be a risk factor for the development of dementia, independent of age and other potential confounding factors. The Baltimore Longitudinal Study of Aging followed 639 individuals for 18 years to determine whether hearing loss is associated with the development of dementia and Alzheimer disease. None of the subjects had cognitive impairments at the beginning of the study. 455 participants had normal hearing and 184 had at least a mild degree of hearing loss. At a median follow-up of 12 years, 58 cases of dementia were diagnosed, of which 37 cases were Alzheimer disease. Compared to normal hearing participants, the risk of developing dementia was found to increase with the severity of hearing loss. A longitudinal cohort study followed 4,463 men and women age 65 and older without dementia at baseline. Of these participants, 836 had hearing loss. The Modified Mini-Mental Status Exam was completed by each participant at baseline and over three triennial follow-up visits. 16% of participants with hearing loss developed dementia, compared to 12% of participants without hearing loss. Hearing loss was found to be an independent predictor of developing dementia and was associated with faster decline on the Mini-Mental Status Exam. A 25-year prospective population-based study investigated the association between hearing loss, hearing aid use, and cognitive decline. The study followed 3,670 individuals aged 65 and older. Hearing loss was determined using a questionnaire assessing self-perceived hearing loss. 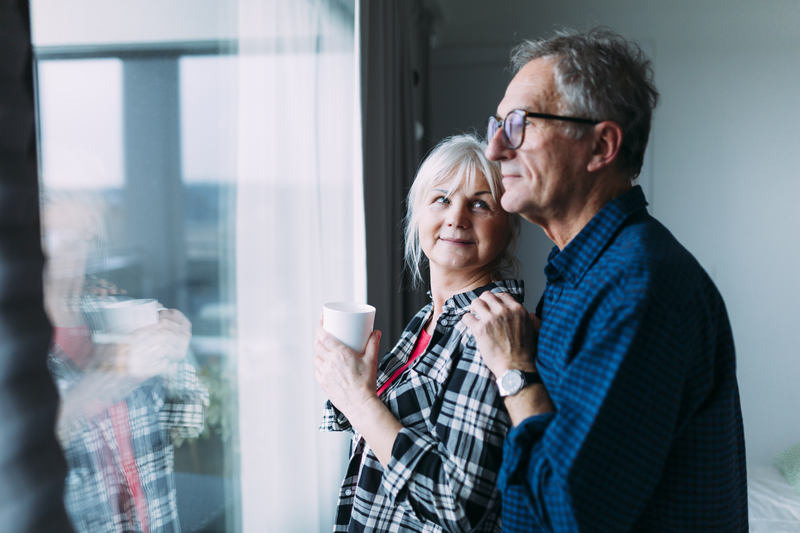 Cognitive decline was measured using the Mini-Mental State Examination (MMSE) administered at follow-up visits over the 25 years. At baseline, 2,394 participants reported no hearing trouble, 1,139 reported moderate problems (difficulty following group conversation or conversation in background noise), and 137 reported major hearing loss. Participants with hearing loss not using a hearing aid were found to have greater decline in MMSE scores during the 25-year follow-up period than for those without hearing difficulties. In contrast, participants with hearing loss using a hearing aid had no difference in cognitive decline from those without hearing difficulties. The treatment of hearing loss with appropriately fit hearing aids may help reduce risk of dementia. A baseline hearing test is recommended for all individuals over 50 years old.​ M​ake an appointment to have your hearing tested today. Currently wearing hearing aids? ​Schedule an appointment to have your hearing re-tested and your hearing aids reprogrammed and verified. Gurgel RK, Ward PD, Schwartz S, Norton MC, Foster NL, Tschanz JT. Relationship of hearing loss and dementia: a prospective, population-based study. Otol Neurotol. 2014;35(5):775. Amieva H, Ouvrard C, Giulioli C, Meillon C, Rullier L, Dartigues JF. Self-Reported Hearing Loss, Hearing Aids, and Cognitive Decline in Elderly Adults: A 25-Year Study. J Am Geriatr Soc. 2015; 63(10):2099.